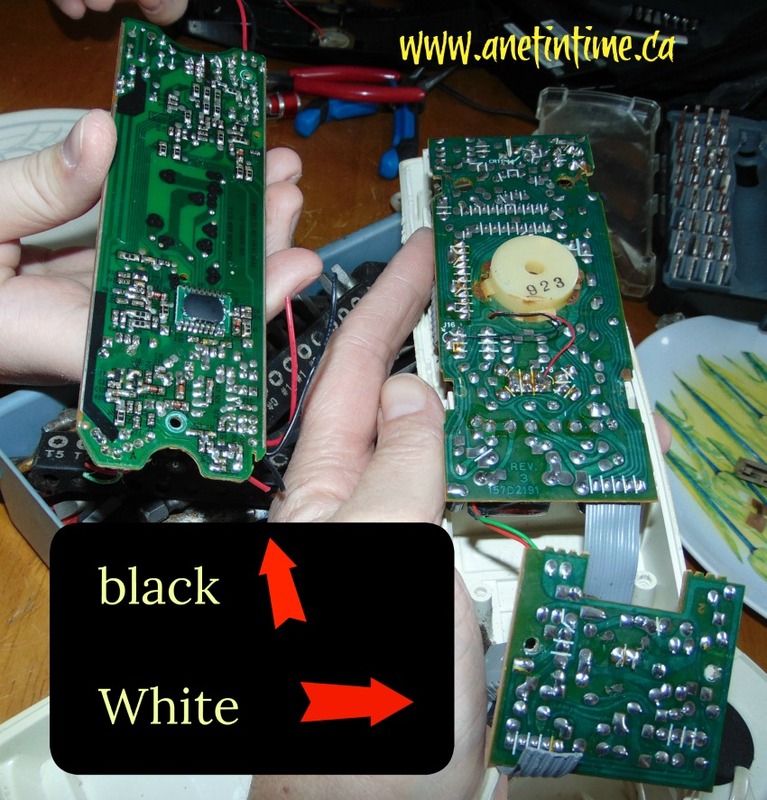 Do you remember we took apart a couple of telephones a bit back? 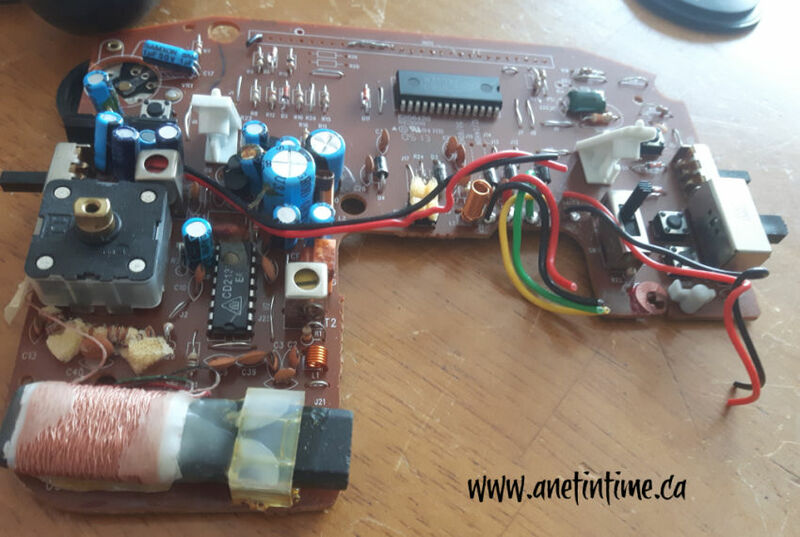 Well, last week we started to dismantle a clock radio. Wow.. it was just so very interesting do to this, a great hands on way to learning electronics. 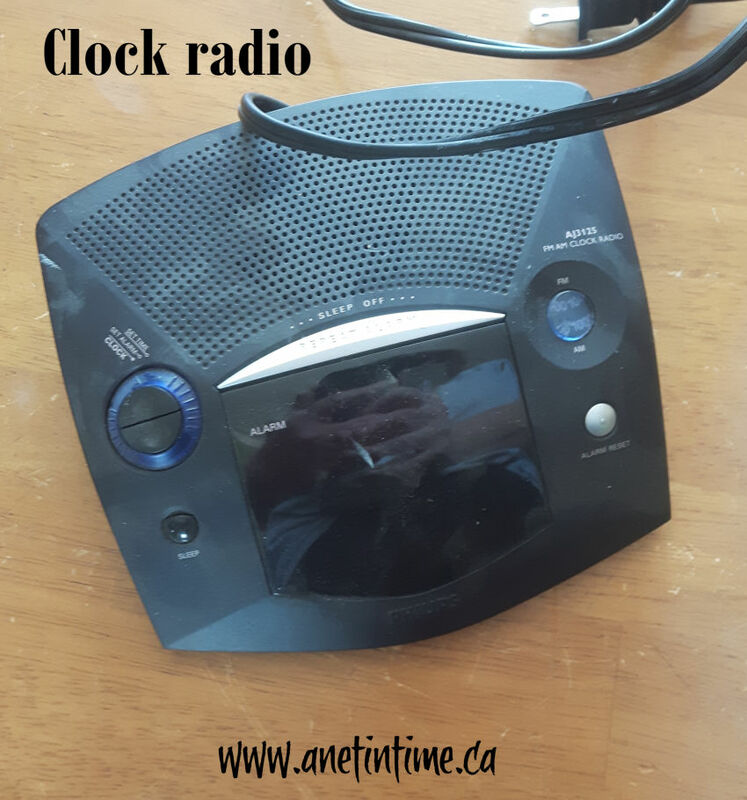 We only had the one clock radio, so we shared our discoveries with each other. 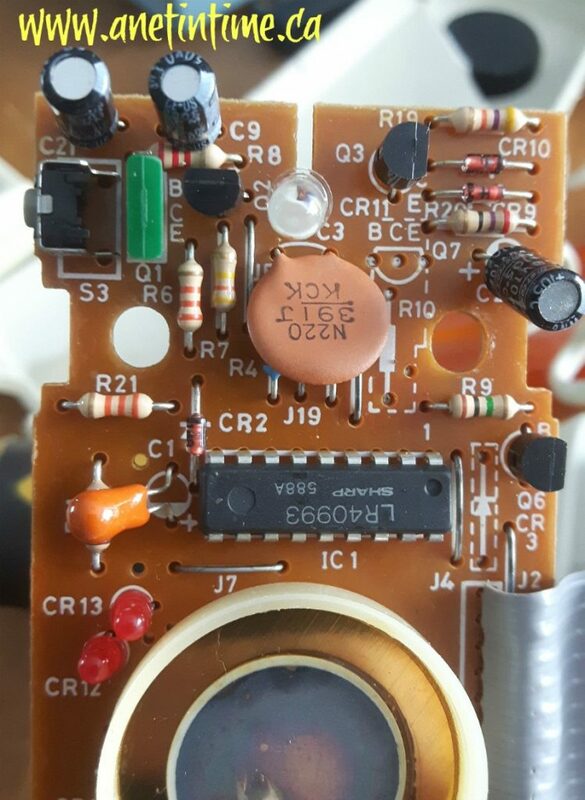 Join us in learning electronics from a clock radio, won’t you? Okay, so this is what we did. 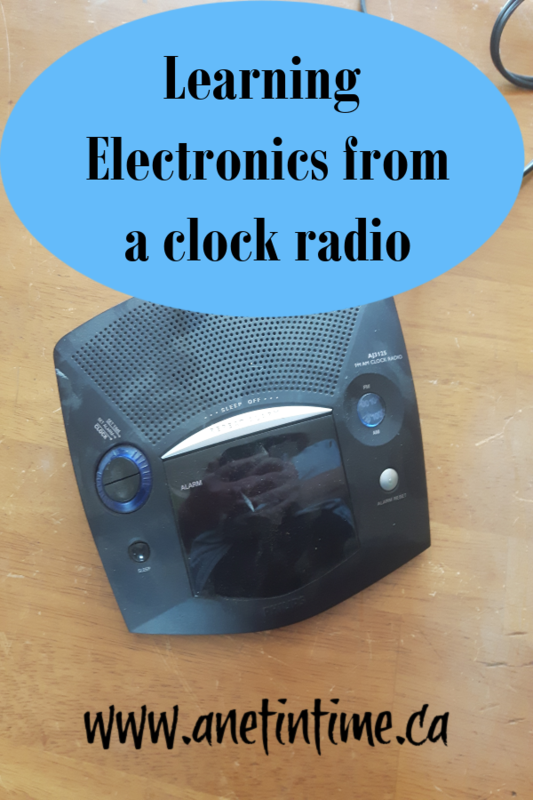 We took this clock radio and figured out how to take off the outside of it (basically just needed to undo some screws). Once we got the cover off we took a really good look at the internal parts. 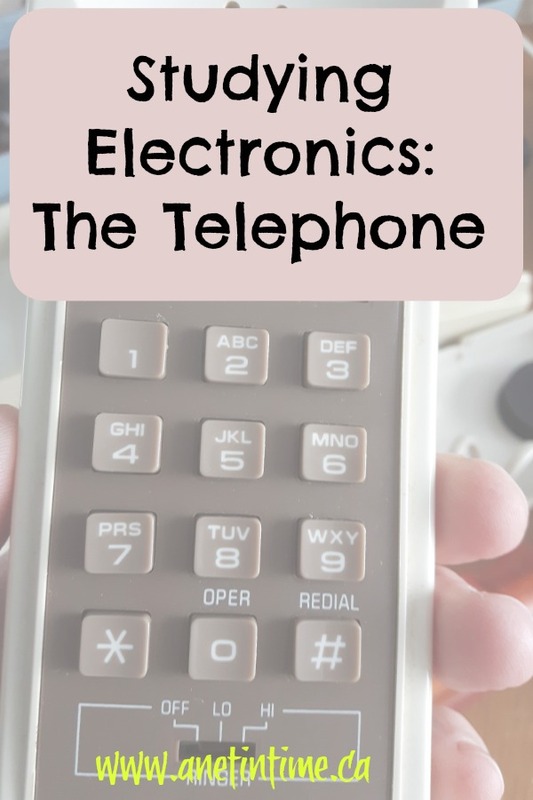 We took what we learned from the telephone and found the resistors, diodes and capacitors. We also found some… wire coil things we needed to look up. Learned they were inductors. And we found a transformer too! OH! and I mustn’t forget the really thin copper wire wrap! We couldn’t figure out how to detach it so are saving that for another day. OH, that thing with the ON-tech on it? I looked up that number and learned it was a transformer. The lad figured how to get it out of its’ housing. It’s gone into our keep pile. 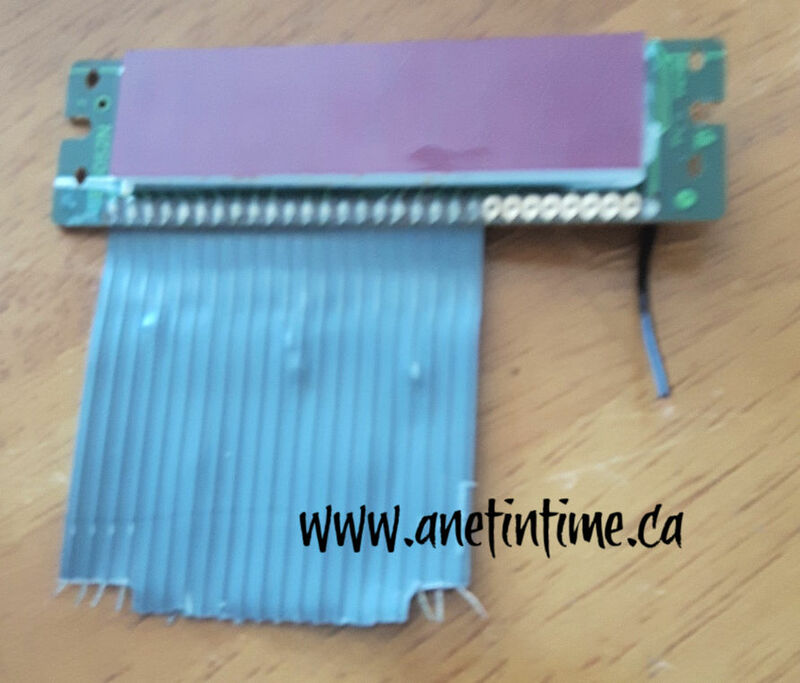 He was very intrigued by the digital display and managed to get it out of the clock radio. Unfortunately he was unable to get it to work. He wants to see if Dad can help him get it working as he has plans for it it he can! 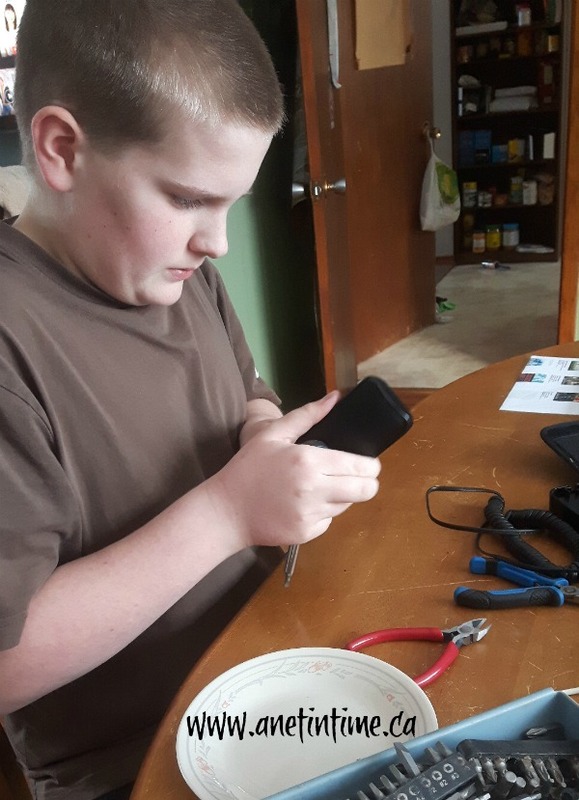 Even though he couldn’t get the digital readout to work, he did check out what capacitors, diodes and resistors do. It was actually quite fascinating. Here is the capacitor one that he did. It’s not the best, but I tried. Oh I should tell you what he used to test the components out. He has a battery pack with a black and red wire. 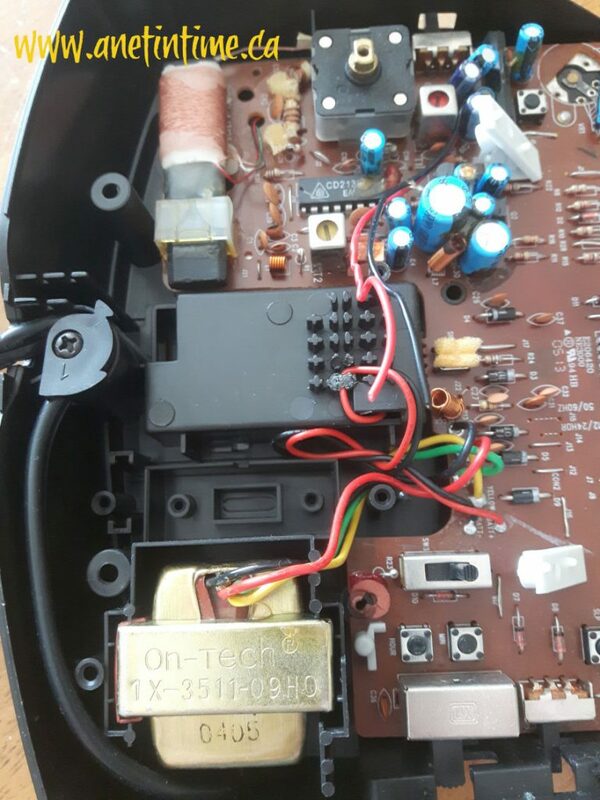 He also has some resistors (I think) and he would simply connect the component he was testing to the wires and see what happened. No chance to electrocute himself or his mother. 🙂 The idea made him laugh though, and then he explained his reasoning really well and all was good. See! We did get the motherboard (I think that’s what you call it) out of the plastic housing. The lad and I clipped out a d1 and d2, three resistors, and two capacitors. We hoped to get to the diodes but ran out of time. The lower the resistor the brighter it made the led bulb. The capacitors made it gradually brighter and the d1 and d2 only worked in one direction. I’m going to check if my library has these books, or at least books like them. One of the things I am aiming to do is give my lad a taste of different trades he could get involved in. I don’t want to push him into the trades as he has the heart of a teacher/preacher/explainer of life. BUT as I tell him, if you have a trade that you can do, that you like it gives you options in life. You can work and make some money to put yourself through school. It can be a point of ministry if you work, giving you abilities to answer questions for people or help them with projects. If you can’t find work in your chosen field, you have a trade to fall back on. To that end, I’ve collected some electronics for my son (and I) to take part. 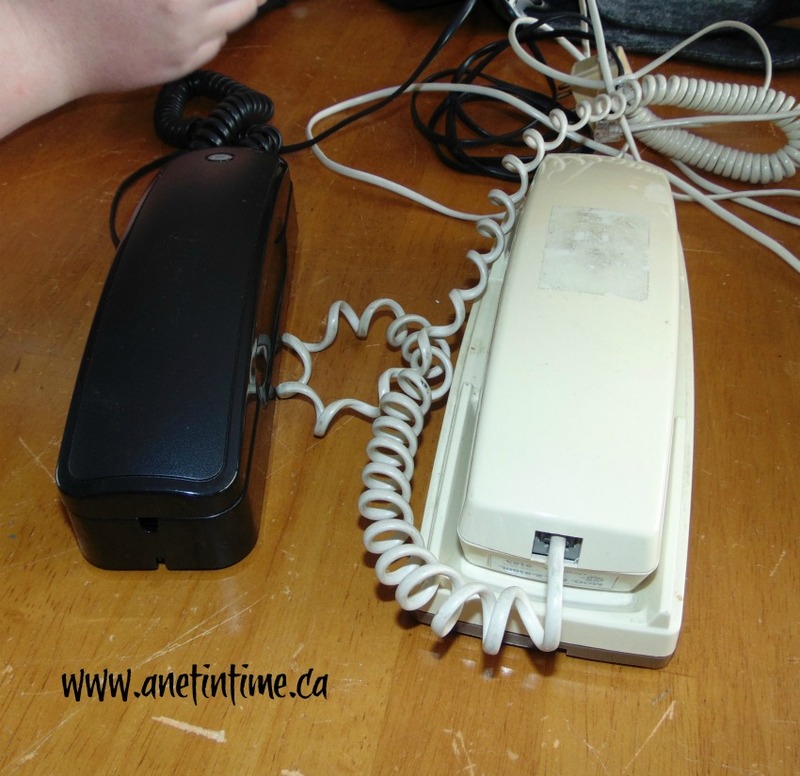 Today we started our Electronics Study with The Telephone. Stay tuned for a free worksheet! Or at least a background support and hopefully we’ll eventually work through it. Make Electronics. We have some old phones that I collected. Did you know that people are awesome at Yardsales when you go around end of day asking if they have stuff to help your lad out? The stuff I collected that way is amazing! 🙂 But today.. Telephones. We started off with two basic telephones. Then we examined their exterior noting what the cords were like and where they were connected. We noted the white one was significantly heavier than the black. later we learned that was due to bigger components and weights in the base of the phone. I gave my son dibs on the phone he wanted to dismantle. He chose black. He cut off the telephone cord before I had a chance to show him how they just pull out. Opening them up proved a bit problematic. We undid screws thinking that would open them up WRONG. We ended up using screwdrivers to pry them apart until we found hooks holding them together. Pushed those in until the upper and lower parts released. You see that grey thing at the bottom with lines running through it? We counted the press pads and the number of lines and we think that is how the older white phone communicated with the phone over what numbers were being called. 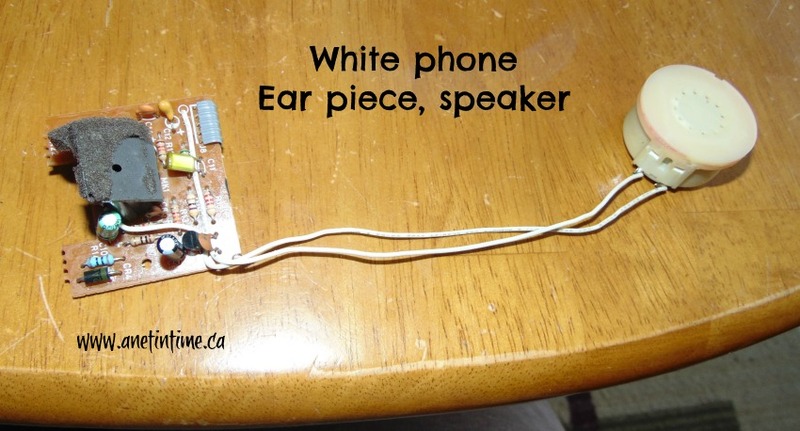 The ear listener part in the black phone was VERY firmly attached to the phone. 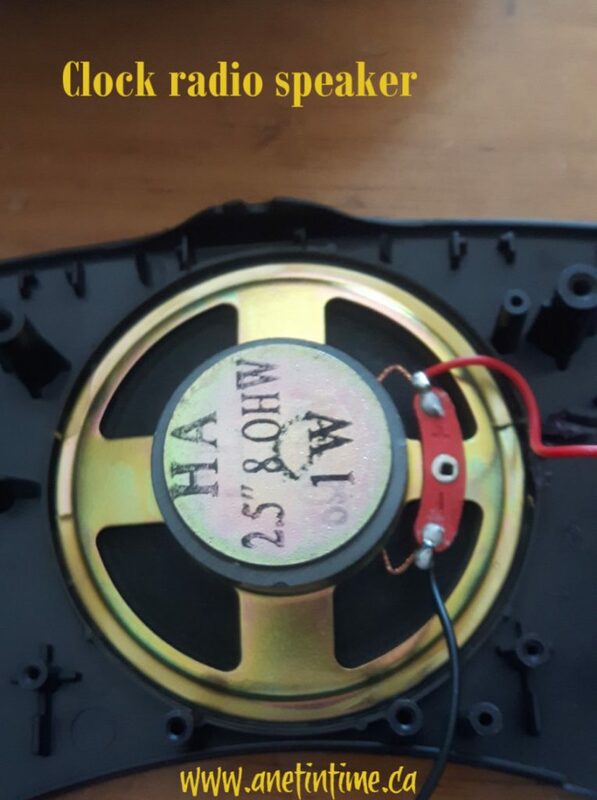 We didn’t see any wires connecting it to the speaker part in the black phone. We did take the listener part apart (needed to put it through the vice grip to snap the seal. Comparing the interiors, seeing the difference between just a few years in these telephones. 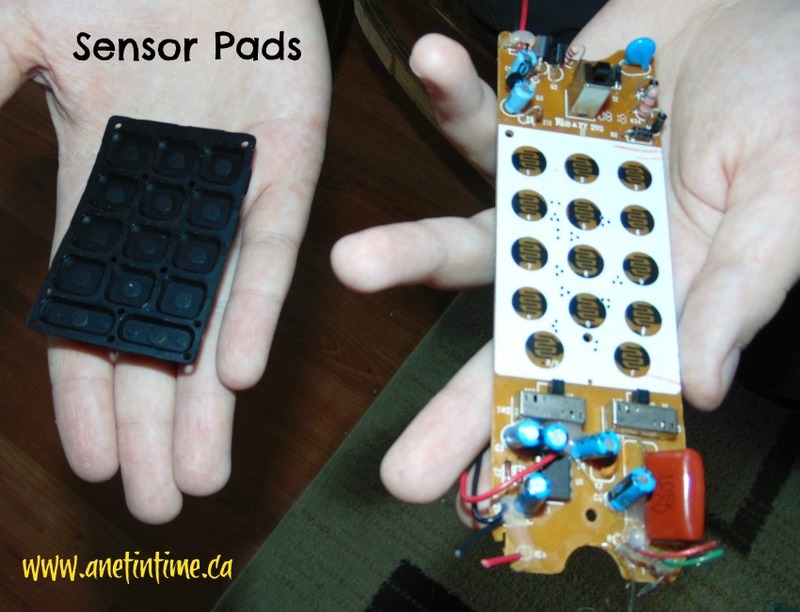 How the computer sensors and electronic needs got smaller. So many less wires in the newer phone than in the older white. We learned about capacitors and resistors, diodes, light emitting diodes and more. The older phone had more of these than the newer phone. A few things we saw we didn’t know what they were. It was fascinating to see how different the capacitors were. We saw a few things we didn’t find out our helpful resource sites but extrapolated what they were for. Like the part that hangs up the phone. The external part was obvious, the internal part somewhat less so until we did comparisons and saw the switches in action. The older phone had more click and hold features than the newer one. As we hope to reuse pieces when we more formally study electronics we collected everything we could on a plate and later stored them in a small box. I forgot to mention we gathered items like screwdrivers, wire snippers and strippers before hand. We also made use of our vice grip to help with cracking seals and phone cases. We used a battery pack with wires to help test the phones. Want to join us in testing our knowledge? I made up a sheet so you can find capacitors, diodes etc with us. You’ll find the link here. You’ll need to use the helpful resources below. We used the book to give us ideas, but also googled. We found this page helpful. Electronics Club Components. As well as uCHobby and wellpbc. 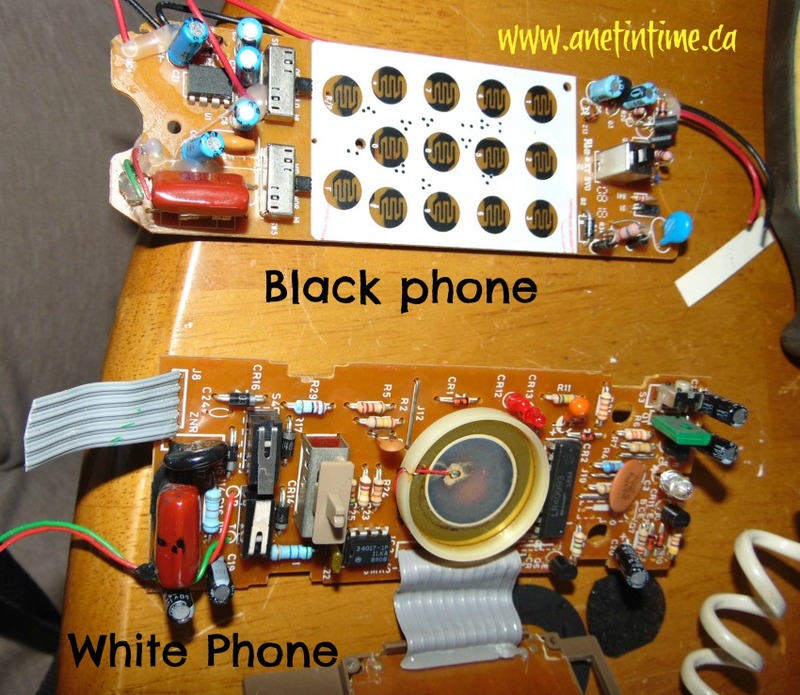 My son has a goal now, he wants to build an intercom using two old phones. He already knows that he needs to learn how to solder. I hope you enjoyed our walk-through tearing apart two old phones. Have you ever done things like this? Figuring out how things work? Let me know in the comments below eh? Thanks!